A favorite surface of ELITE tennis clubs and spectacular private residences worldwide, OmniCourt synthetic grass systems redefine quality. Made from the finest environmentally friendly materials, these professional-grade surfaces combine an aesthetically pleasing,natural appearance with incredible durability. APT Sports is the undisputed global leader in high performance, engineered sports surfaces. Since 1969, our surfaces have been widely renowned for enhancing athletic performance and simply lasting longer – independent studies prove it. From soccer and field hockey pitches to running tracks, football turf and tennis courts, APT surfaces offer the perfect combination of performance and return on investment. playing characteristics and easy maintenance, OmniCourt offers the highest UV protection and is well suited for any climate and location. is brushed into the surface for even greater comfort, which can be adjusted for court speed and player preference. OmniCourt’s sand-filled court surface holds firm under all weather conditions and offers rapid drainage, even after the hardest rain. Extremely durable, OmniCourt is crafted with the latest manufacturing processes for maximum color retention and easy maintenance – in fact, periodic brooming is all it needs. OmniCourt can be installed over existing courts without the use of heavy equipment that could destroy existing landscaping. 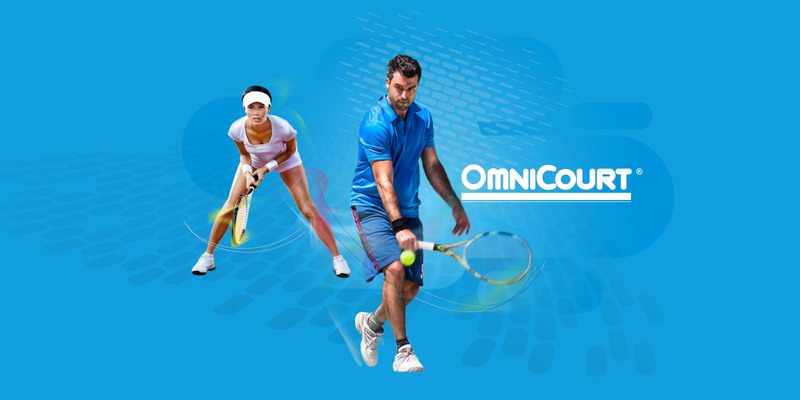 OmniCourt’s unique design allows the subsurface to expand and contract without affecting the integrity of the court surface, making it ideal for resurfacing old cracked courts and for new construction. With minimal maintenance needed, it’s easy to keep your OmniCourt surface looking this good.